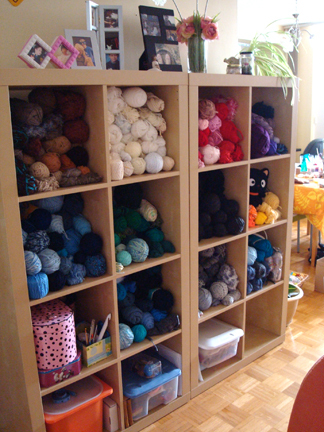 behold — a wall of yarn! This past weekend Mike and I completely reorganized our apartment to make room for more work surfaces. 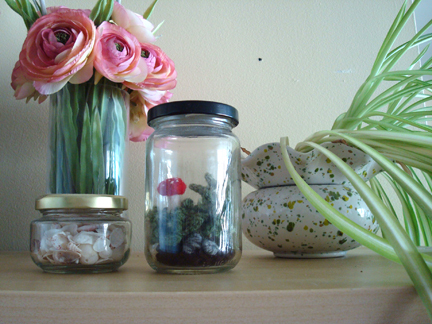 And yes, to contain my ever spreading “crafty corner”. 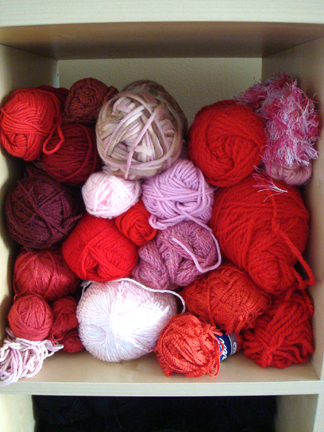 I used to have yarn in bins and bags all over the apartment, beside the couch and under the bed and stacked against the wall. But now it’s all in one place! 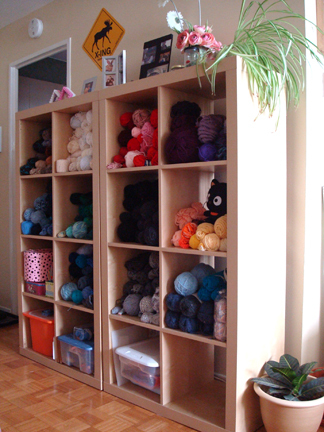 :D These shelving units that the yarn is in at the moment were originally our bookshelves. We moved all our books onto new bookshelves in our bedroom. Here’s another view of it from a different angle… I’m so proud! Sadly, the yarn is not going to stay this way for very long. 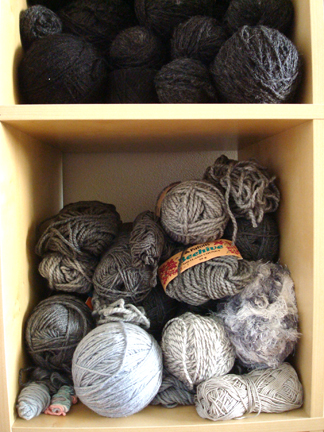 It’s just not practical to stack yarn on top of one another like that; I’d have an avalanche of yarn every time I rummage through the shelves (“would that be a dream or a nightmare?” Mike muses). 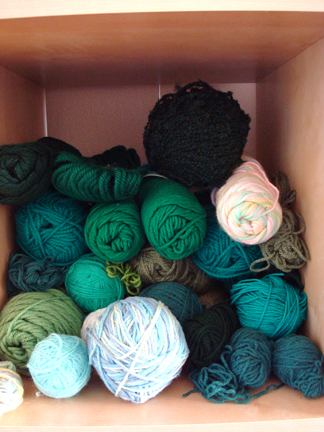 So I’m going to find the cheapest bins possible to fit into those shelves to hold the yarn. But for now it’s pretty to look at! 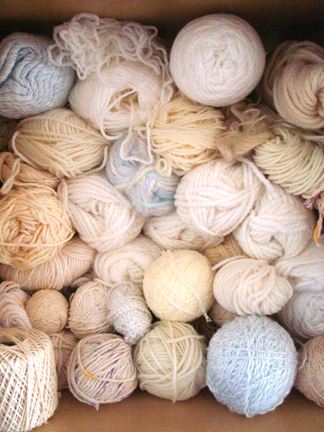 I particularly enjoy all the different shades of white/beige yarn together. And a bit low on yellow, peach, and purple. The space where I kept all the art supplies before was a bit of a disaster. 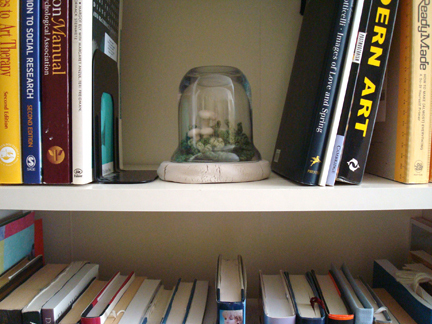 I had pile and pile of things at the foot of the utility shelf, and things on the shelves are always falling over. So over the weekend I’ve gotten rid of a lot of things and put things that I don’t use on a regular basis in bins and boxes. 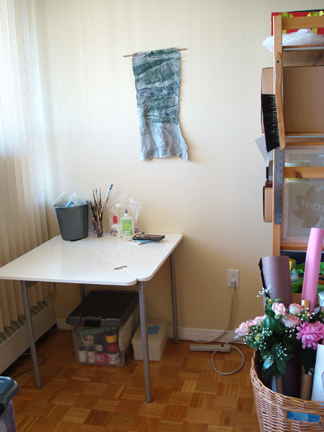 I used to think that art supplies need to be out in the open as much as possible so everything is easily accessible. But now I’ve learned that it’s easier to dust a box than it is to dust between sheets of handmade paper and bottles of paint. If I really needed the handmade paper or the paint it’s not hard to open a box to get it. Mike also got a new six feet long desk, which he is rather happy about. Now he has enough room to draw at his desk, rather than having to hunch over the coffee table. It’s really funny how it works. The apartment didn’t get any bigger but we got more space just moving stuff around. I guess over the past few years of living in it we learned how we can use this space more effectively to suit the work that we do. We did a lot of work this weekend; the only furniture we didn’t move was the bed. And still a lot of finishing and vacuuming to do, but everything is pretty much organized and I’m feeling more motivated than before. Not really about anything in particular, just generally more motivated and energized. It’s funny what our surroundings can do to our moods. 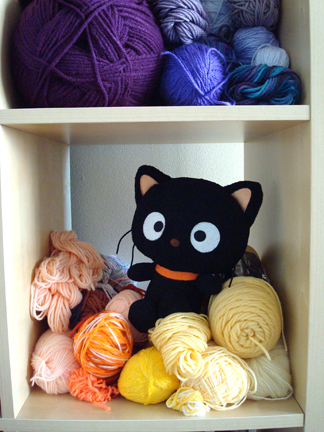 i hope a yarn shelf will come your way soon, Amy! You could cut thin sheets of wood to cut the holes in half diagonally, then by cutting a slot half way in the middle, put two of them together to make an “X” in some of them. That would make 4 mini‐cubbies in each cubbie. There’s types of wood you can cut with scissors or a box cutter, like balsa wood. But this really calls for a low budget project like cardboard covered with pretty paper. All of the colors make the cupboard so nice to look at! That little table in the corner is very cool looking. oooh, all these great ideas! thank you so much! 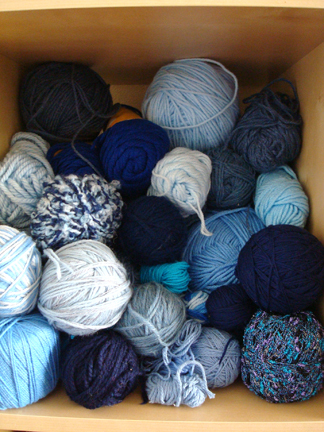 i do agree that a triangular space will hold the yarn better. maybe they sell ready‐made dividers like that at ikea. i need to make a trip there to see what they have in terms of bins and stuff.